As it becomes more and more of a mainstream diagnosis, Adult Attention Deficit Hyperactivity Disorder (ADHD) is now an accepted medical condition that affects more than 4.4% of the adult population in the United States. 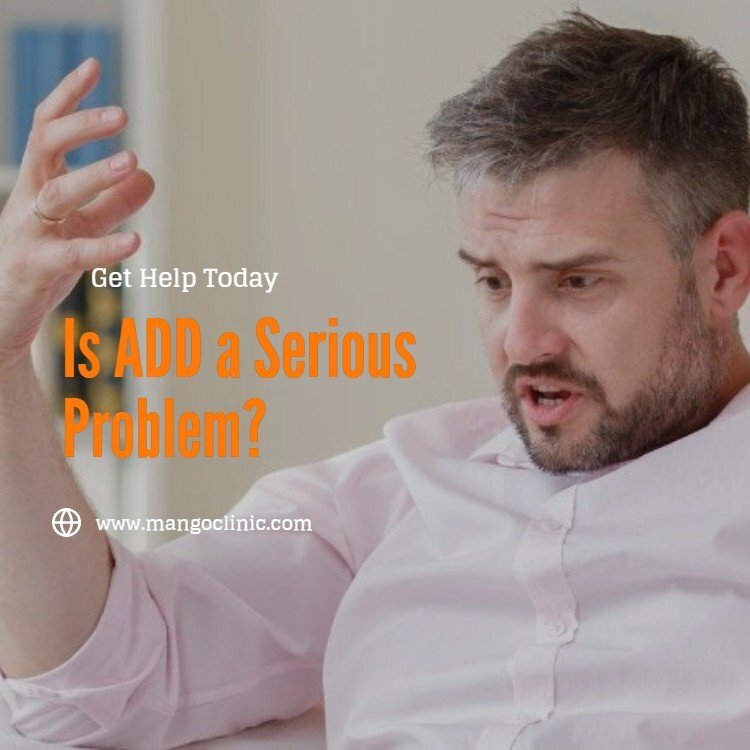 Marked by an inability to concentrate, disorganization, and unstable relationships, ADHD can have a variety of negative consequences on the sufferer’s life. 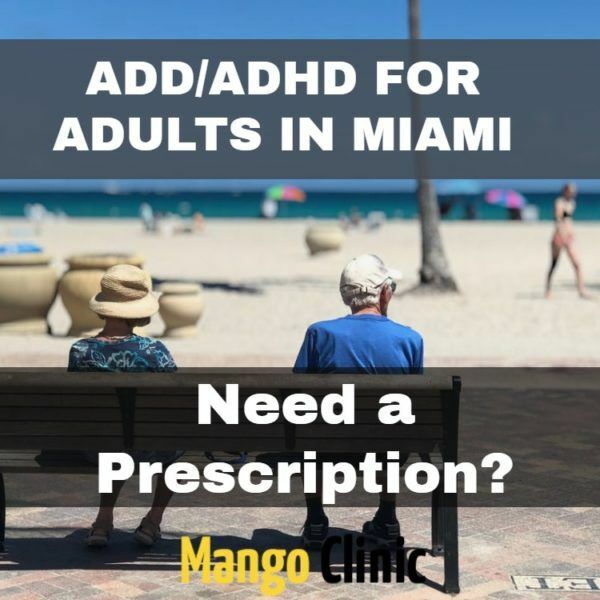 If you have been diagnosed with Adult ADHD or believe you may have it, you should schedule an appointment with a licensed ADHD Doctor in Miami. Here is more information on what you need to know about this condition and where can you get ADHD diagnosis done in Miami. Adult ADHD is a mental health disorder. Though it can range from mild to extreme, it usually presents with many of the same symptoms. Depending on the type of ADHD an adult has, symptoms can range from irritability and lack of focus to anxiety and outbursts of anger. Others experience chronic lateness or an inability to stay organized and some even experience very low self-esteem or stomach problems stemming from the disorder. 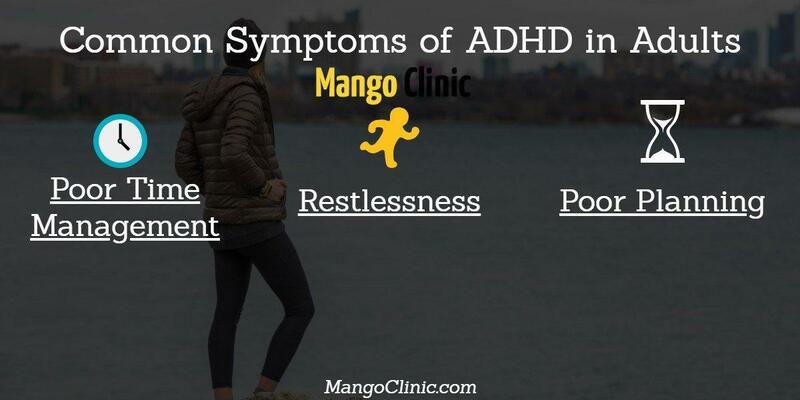 You can discuss your ADHD symptoms with our Doctor at mango Clinic and he can determine if you have it or not. How Does Adult ADHD Differ from ADHD in Children? Hyperactivity is usually the area where adults and children differ the most when it comes to ADHD. While children with ADHD tend to squirm, fidget, run or climb excessively, and can’t sit still, adults are more likely to display symptoms like doodling, restlessness, an inability to complete jobs, and taking part in active or risky behavior that will hold their interest. In the area of inattention, ADHD children tend to make careless mistakes in schoolwork, seem not to listen when spoken to, don’t complete homework projects, and have short attention spans. Adults with ADHD, on the other hand, are forgetful, have troubles following conversations, lose track of time, and have problems with self-motivation. Impulsiveness also looks different in adults and children with ADHD. Children blurt out comments inappropriately, interrupt others, and have problems waiting their turn. Adults may spend money impulsively, participate in behaviors that are dangerous, or hurt other people’s feelings with insensitive comments. It’s believed that adults with ADHD have had the disorder since they were children but many went undiagnosed. This could lead to years of believing their problems are simply ‘part of their personality’ or that they are lazy or not intelligent. How is Adult ADHD Diagnosed and Treated? Many adults who research the disorder and look closely at their own symptoms can self-diagnose ADHD. However, to be certain of the diagnosis and to get the proper treatment, adults should schedule an appointment with a qualified physician who has experience in identifying and treating the disorder. Depending on the type of ADHD you have, you may be treated with lifestyle changes or supplements or, if needed, stimulants or anti-depressants that have been proven to successfully treat your symptoms. Most common ADHD drug is Adderall. Consult with a doctor before taking Adderall. If you are living with ADHD and have not been diagnosed, you have likely experienced a number of negative consequences that you can’t explain. Getting a proper diagnosis can be a life-changing experience as you now have answers for your prior thoughts and behaviors and you can now receive the treatment you deserve. 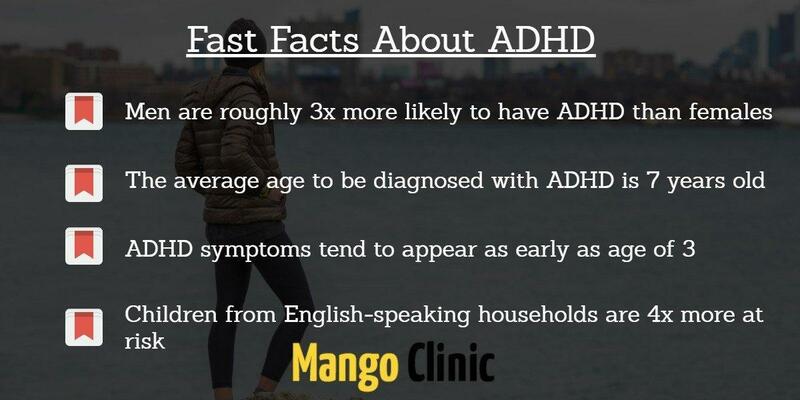 If you believe you have Adult ADHD, please call our Miami clinic at (305) 776-2898 to schedule an appointment. Can an Adderall Prescription Help Me? If you’re an adult struggling with attention-deficit hyperactivity disorder (ADHD), there are a medley of treatment methods available to help remedy your condition. However, one of the more intriguing and effective approaches exists with the use of Adderall. Learn more about how treating your ADHD with Adderall can improve your health and overall quality of life. Classified as a brand-name prescription stimulant, Adderall has a proven track record for effectively treating hyperactivity, inattention, impulsivity and other related symptoms of ADHD such as consistent interrupting, excessive talking, forgetfulness, fidgeting, lack of focus and disorganization. As an FDA-approved substance, Adderall should be taken exclusively within the confines of a doctor-administered treatment approach. That typically includes exercise, diet, supplements and/or behavioral therapy. Although the science has not been confirmed, it is generally considered that Adderall precipitates stimulating effects for patients through igniting the mechanism of action related to neurotransmitters in the brain. What are the Benefits of Taking Adderall for ADHD? 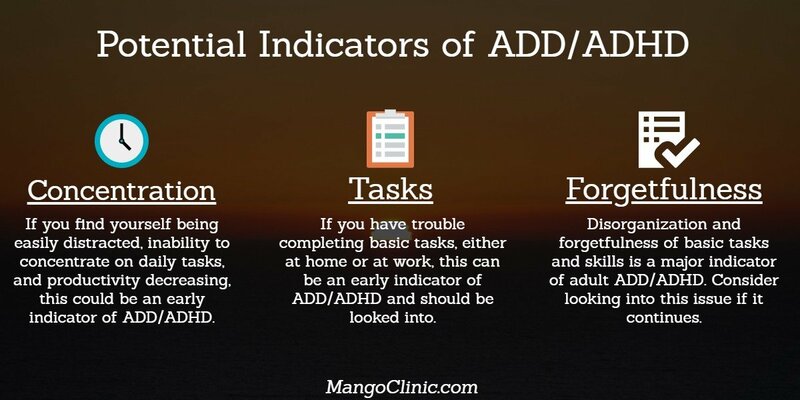 Patients with ADHD typically struggle to complete very basic tasks because of their inability to focus. As a result, they will avoid taking on intensive projects and otherwise seemingly mundane day-to-day tasks. At times, people with ADHD even will feel guilty about it, thereby exacerbating an already self-defeating cycle. Although some people feel guilty about taking Adderall, they really should be considering the positive impact it can have on their lives in terms of seamlessly completing routine tasks. Those using Adderall to treat ADHD find it much easier to manage their personal finances, prepare for academic tests as well as generally organizing their lives. The capacity to accomplish such tasks significantly reduces their stress burden and enhances their overall quality of life and those of their support networks. Who Uses Adderall to Treat ADHD? Many adults are struggling with ADHD and some are using Adderall as part of a treatment approach for their ADHD. Famous and visible figures within popular culture and beyond, including the likes of Olympian Michael Phelps, the business mogul Richard Branson, and international pop star Justin Bieber, all have shared their struggles with ADHD. Currently, statistics suggest that over 13.1 million prescriptions were written for Adderall XR in 2016, including generic prescriptions, to treat ADHD symptoms. Justin Bieber, for example, has stated that his mind works more effectively with the use of Adderall for treating his ADHD. The popular entrepreneur and traveler Chris Guillebeau vocally advocates for using Adderall to treat ADHD and has been very open about the benefits he has experienced in his life. Furthermore, professional baseball player Aubrey Huff of the San Francisco Giants finds Adderall effective in boosting his performance on the field as well as in treating symptoms of depression and anxiety. Although patients should exercise caution and consult with their physician before attempting to use the drug in this capacity for treating mental illness, it may well prove effective for your needs. It’s important to know how to discuss possibly using Adderall with your physician before beginning any treatment regimen. Be sure to state up front that you want an appointment to explore your risk for ADHD. Upon the visit, briefly yet openly discuss your symptoms and how they impact your life. That would help your physician provide a proper diagnosis. It is critical that you share with your doctor whether you have attempted to self-diagnose your condition and/or whether you have begun taking Adderall already. 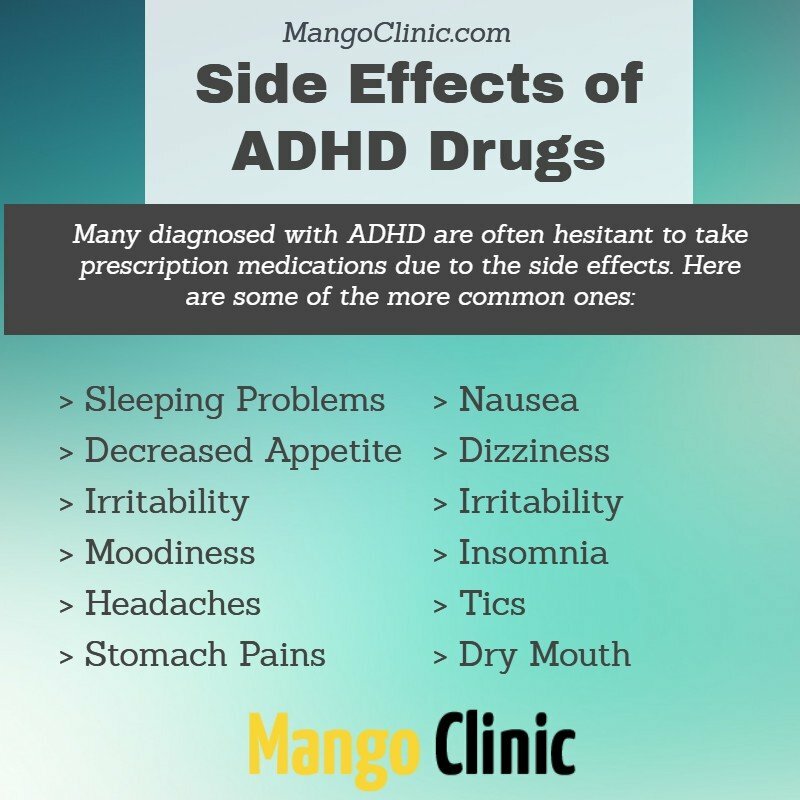 If you believe the medication can help your ADHD, please call our Miami clinic at (305) 776-2898 to schedule an appointment. For adults enduring challenges related to attention-deficit hyperactivity disorder (ADHD), a bevy of treatment approaches exist to help treat your condition. The utilization of Adderall is known to be one of the most effective methods. Discover below 10 important things you should consider when evaluating whether Adderall is right for you. Scientific researchers have found that Adderall precludes the biochemical barriers from forming that precipitate ADHD in adults. Often ADHD results when messenger information to cultivate the production of dopamine is inhibited in the body. Adderall helps prevent this from occurring. Patients who use Adderall find they are able to focus for longer periods of time with greater concentration. No longer are they putting off accomplishing routine tasks such as paying their bills and maintaining a well-kept home. With better focus comes better net performance for people in all aspects of their lives. People operate more consistently at high levels in competitive environments at work as well as in recreational activities. Artists, business executives, and professional athletes have attested to the benefits of medication usage in enhancing their performance. Given that people are able to focus and perform better with the usage of Adderall, they often experience feelings of greater confidence in social settings. Adults are able to express themselves more openly with less outcome-dependence in interpersonal and romantic settings, thereby enabling them to experience richer and more meaningful relationships. Unlike caffeine that might give you short-term energy and focus boost, Adderall provides hours of high-level productivity. Adults report experiencing long periods of time of heightened focus and concentrated energy. It enables them to complete time-intensive tasks expediently. Adderall helps patients with narcolepsy, where they experience the risk of falling asleep at inopportune times, stay awake and manager their sleep patterns more effectively. Subsequently, they function better both in professional and social settings. Adderall usage has proven to be effective in combating depression and anxiety in patients. Appropriate dosages have been found to curtail feelings of lethargy and hopelessness. It is also remedying emotions related to uncertainty and fear. Visible public figures such as Aubrey Huff of the San Francisco Giants, entrepreneur and traveler Chris Guillebeau and pop star Justin Bieber have all found Adderall usage helpful in realizing their career ambitions. They find the drug enables their mind to function more clearly in their given fields of endeavor. Before electing to begin Adderall treatment, it is vital that you consult with your physician and review the affiliated risks. For example, patients who suffer conditions such as advanced arteriosclerosis, hyperthyroidism, moderate to severe hypertension, symptomatic cardiovascular disease, agitated states, and glaucoma, among other conditions, should refrain from the Adderall usage because of potential side effects. Do you think Adderall may be beneficial for your struggle with ADHD and affiliated conditions? Be honest with your physician. Tell her/ him about your symptoms and whether you have begun taking the substance. It is important that you mention in advance you want an appointment to explore your risk for ADHD and subsequent treatment. If you believe Adderall can help your ADHD, please call our Miami clinic at (305) 776-2898 to schedule an appointment. We also provide therapy & counseling services! 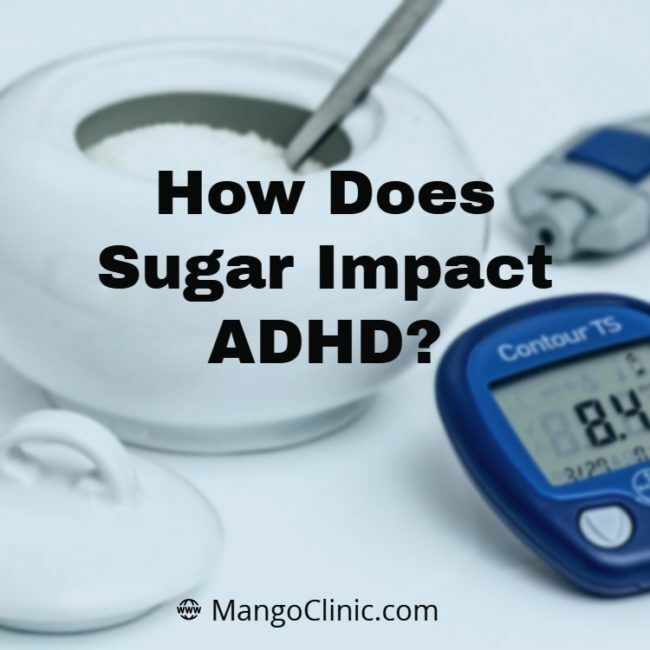 Do You Suffer from ADD or ADHD? If you have ADD or ADHD, we may be able to help. Make an appointment with our Florida licensed medical doctors at in Miami today! Schedule an appointment today! Click here to for more information on scheduling an appointment at at our clinic in Miami. Also known as Attention Deficit Disorder (ADD) and Attention Deficit Hyperactivity Disorder (ADHD), these conditions are similar in that they both involve the inability to stay focused. Hyperactivity is the key symptom if ADHD, which is often seen in children. However, adults may also from ADD and ADHD. 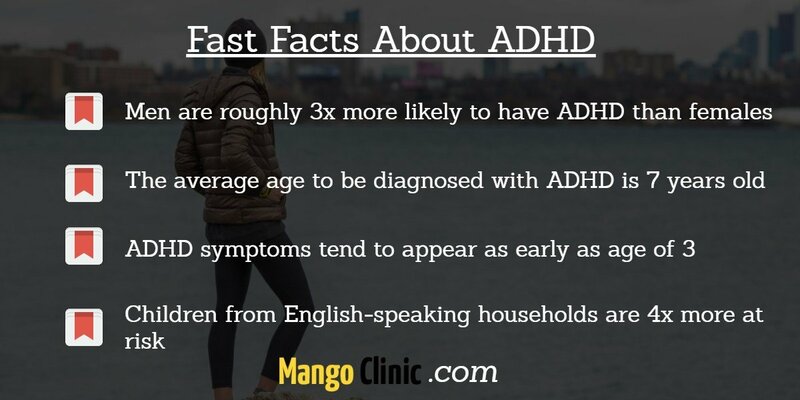 According to the Mayo Clinic, there are approximately 3 million cases of ADD and ADHD per year. In most cases, these conditions begin during childhood and usually continue well into adulthood. 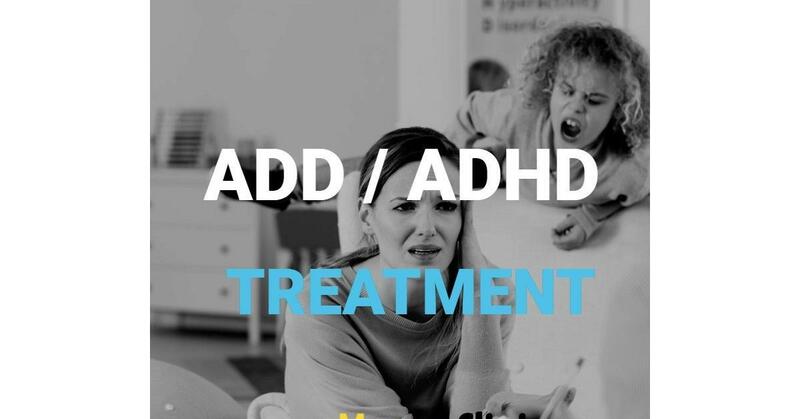 Although medications are usually prescribed for ADD and ADHD, Adderall has been found to produce successful results in the treatment of ADD and ADHD. Adderall may be able to help you regain functionality in everyday life. How Does Adderall Help ADD and ADHD? Adderall is a FDA-approved medication for adults and children that acts as a stimulant in people with ADHD and ADD. These drugs are used to help people with problems dealing with inattention, impulsive behavior, and hyperactivity. People with these types of disorders can be described as having lack of attention, hyperactivity, and impulsive behavior. Additionally, ADD and ADHD may cause people to become erratic and anti-social. Although most research has been conducted on the usage of stimulant drugs such as such as Adderall to help produce dopamine levels in the patient as a way of calming them. Adderall has been beneficial in helping people cope with the symptoms of ADD and ADHD by improving cognitive ability and helping to control impulsive behavior. It is recommended that drugs like Adderall be taken with a well-planned, healthy diet, behavioral therapy, and exercise. What are Symptoms of ADD and ADHD? Our doctors are capable of evaluating your condition to determine if Adderall or other drugs are the proper treatment to help remedy your ADD or ADHD symptoms. It all begins with one appointment at our office in Miami. 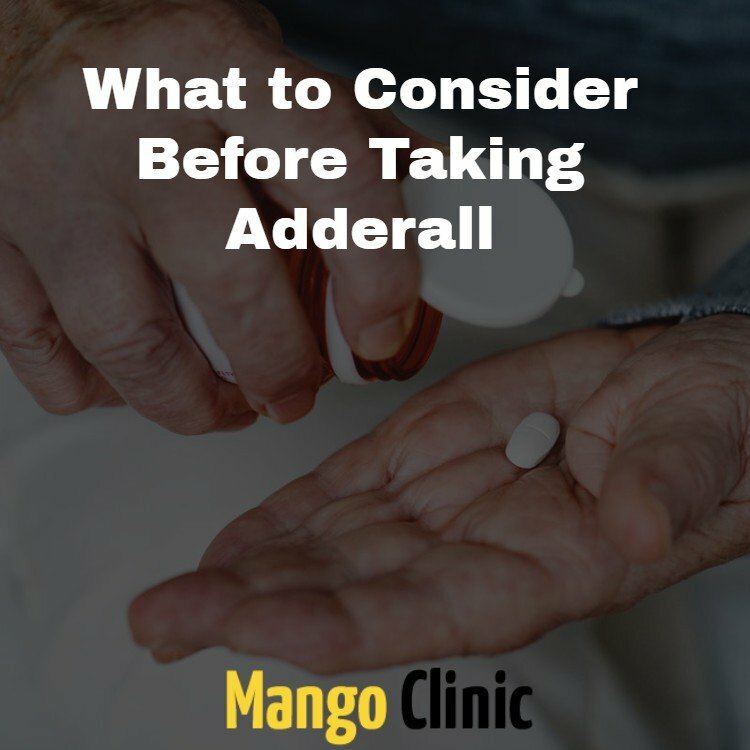 The doctors at our office may be able to recommend Adderall for ADD and ADHD in the State of Florida. Get your questions answered today by scheduling an appointment online. How Can I Get Help Through Telehealth for ADD and ADHD? 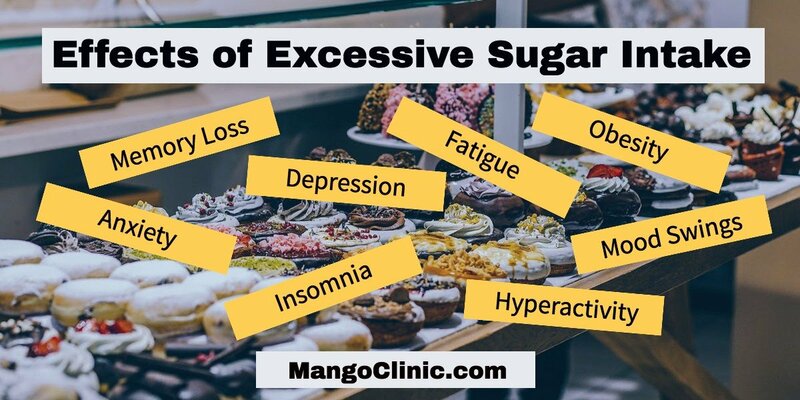 The doctors at Mango Clinic can offer a quick and convenient way to receive the information you need and to transmit your information to your doctor. This makes receiving treatment a fast and effective process. Our doctors understand how important it is for quick treatment, especially when dealing with ADD or ADHD, and our telehealth medicine offers patients an easy way to be seen in the convenience of your own home. Attention Deficit Disorder, now more commonly known as Attention Deficit/Hyperactivity Disorder, is a condition that causes a person to have a short attention span, lack of focus, and problems in both personal and professional relationships. Though this disorder was once thought to affect only children, it’s now widely accepted that adults also suffer from the condition and that it can have numerous negative effects on their lives. Do you believe you may have adult ADD? Or do you have a child who is displaying symptoms that you believe are consistent with an ADD diagnosis? Read on for more information on the disorder and available treatments. With the increased amount of research done on the disorder, it’s now thought there are seven different types of ADD that can affect both adults and children. They are: Classic, Inattentive, Over-Focused, Temporal Lobe, Limbic, Ring of Fire, and Anxious. Though most of the types are marked by an inability to focus or concentrate, some of the other types have different symptoms that can include obsessive thought patterns, fearfulness, and learning problems. Some of these types of ADD are more likely to affect girls than boys and present in a more apathetic, quiet way than the traditional hyperactivity. This is one of the reasons why many more boys have been diagnosed with ADD over the years than girls. This broadening of what qualifies as ADD is important for all adults in Miami to know whether they believe their children may suffer from the disorder or if they think they have a form of it. It can be a relief to some to finally have an explanation for why they think or act a certain way and that there is hope for treatment. If you believe you have symptoms of any of the seven types of ADD, it’s vital that you see an experienced medical professional who can determine a diagnosis and create a treatment plan for you or your child. For many years, it was believed that children with ADD symptoms simply grew out of the problem by adulthood. However, new research has found that most children do not grow out of the disorder—many carry it with them into adulthood. In fact, more than 60% of those who were diagnosed with ADD in childhood will display at least some of the symptoms in adulthood. Though some of their symptoms may change as they age, they will still exhibit symptoms that could be disruptive to their lives. In addition, many adults with ADD were never diagnosed as children, so they may have no idea that the problems they are experiencing are due to the disorder. It is now believed that up to 4 percent of the United States population of adults have ADD signs in some form. As stated above, the symptoms of ADD can be different depending on the individual and what type of the disorder they have. Classic symptoms of the disorder include irritability, hyperactivity, an inability to focus, mood swings, poor organization skills, an inability to monitor time, apathy, not listening when being spoken to, forgetfulness, trouble sitting in one place for a sustained amount of time, and impulsivity. Those with ADD are often late to meetings or social gatherings and have no little or no ability to manage their time wisely. This can have a negative impact on schoolwork, careers, and personal relationships. It’s quite difficult to successfully self-medicate if you have ADD, though many people attempt this when they first suspect they have the disorder. Due to the many different types of ADD, a proper diagnosis must be made before treatment options can be discussed. In some cases, serotonin boosters may help while others benefit from a change in diet or increased exercise. However, if the symptoms are serious enough, prescription medication may be the best method of treatment for those with ADD. It may take a few different tries before the proper type of medication and dosage is determined and all prescription medications should be administered and monitored by a medical professional. ADD medications are still one of the top choices with specialists who treat this disorder in adults and Adderall is one of the most commonly prescribed. What is Addrerall? Adderall is a stimulant drug that combines amphetamine with dextroamphetamine to speed up the brain and increase dopamine levels. It can increase alertness and attention and enhance one’s ability to focus on tasks, which is key for those experiencing classic ADD symptoms. Adderall is available in two forms: Adderall and Adderall XR, which is longer-acting. Some people tolerate one version better than the other and the only way to know is to try both under a doctor’s supervision. How does Adderall differ from other ADD drugs? Adderall, of course, is not the only prescription medication that has been used to treat ADD in both children and adults. Depending on symptoms, tolerance levels, and personal preferences, other drugs may also be used. Here’s how Adderall stacks up to three of the most common. Concerta vs Adderall Concerta is another stimulant drug similar to Adderall though its active ingredient—methylphenidate—is different. Concerta is only available in a slow-release tablet, so it is not as popular as Adderall for those who want a quick release drug. Because of the different active ingredient, there are certain types of people, such as those who have Tourette’s or those who have motor tics, who should not take Concerta but who can take Adderall. Vyvanse vs Adderall Vyvanse is another stimulant drug that is similar to Adderall but uses the active ingredient lisdexamfetamine. Some believe it to be less addictive than Adderall though many studies have shown that it can stunt the growth of children who take it. Vyvanse is taken once a day while Adderall, depending on the form, is taken 2-3 times per day. Ritalin vs Adderall Ritalin is another stimulant that uses the active ingredient methylphenidate to treat those with ADD. Ritalin is more fast-acting than Adderall but does not stay active in the body as long (2-3 hours compared to the 4-6 hours of Adderall. The two drugs have different reactions with other types of medications and those who have medical conditions may be safer taking one over the other. Your medical professional can help you determine which drug is right for you depending on your personal medical history. What dosage of Adderall should I take? Depending on your age and tolerance for the drug, your doctor will likely start you on 5 mg once or twice per day to determine how you tolerate the drug and how it affects your symptoms. It’s imperative that you communicate with your healthcare professional and tell them any negative side effects you experience as well as if your symptoms improve. If you have little to no improvement in symptoms and few negative side effects, your doctor may try increasing your dosage. What Other Treatments Work Well with Adderall? Change in diet Many of those with ADD don’t tolerate sugar well, while others may need a high protein or a high carb diet depending on the serotonin levels in their brain. Altering your diet can be a good complement to prescription drugs and may amplify the positive effects. Cognitive behavioral therapy Learning new coping strategies for obsessive thoughts, lack of focus, or disorganization can be very helpful for those with certain types of ADD. If you are prescribed Adderall, you will likely experience an increase in focus and clear-thinking, allowing you to make some lifestyle and thought changes that can help you even further. Group therapy It can often be helpful for those with ADD to regularly meet and talk with others who are experiencing similar symptoms. Not only does this make you feel less alone in your diagnosis, but it can also be helpful in learning coping mechanisms that have worked for others who have the same disorder. This, paired with an effective Adderall dosage, can help you make vast improvements to your life and relationships that may have been impacted by untreated ADD. 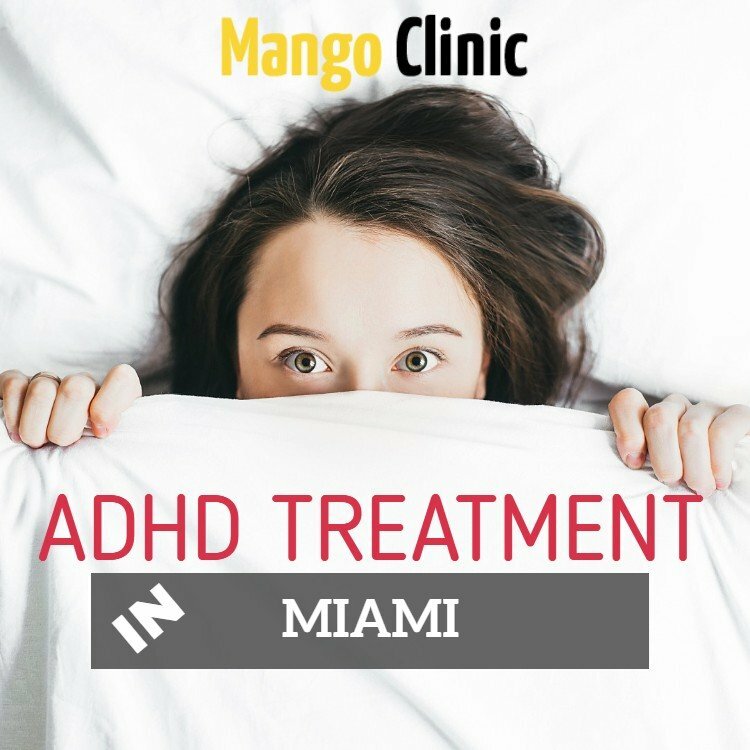 Whether you have been diagnosed with ADD since childhood, are just now discovering that you have the disorder, or have a child who has been diagnosed with ADD, it’s important to know there are many effective treatment options in the Miami area. The first step is to get a proper medical diagnosis which can only come from an experienced doctor who is familiar with the condition. Once you have been diagnosed, you can learn more about the type of ADD you have, the best treatments, and coping mechanisms you can use to minimize the negative impact of the disorder on your life.